As macabre as it sounds, death is inevitable. It surrounds us in the media, pop culture and our everyday lives. It finishes us all off in the end. Why is our society still so far detached from the realities of dying and the issues surrounding it? How come we can spend our days mowing down videogame characters but still be afraid to talk about death in the real world? We’re simultaneously fascinated by and willfully ignorant about something that happens to everyone – what gives? In the past, we’ve had a much more hands-on approach to death and, in some cultures, this is very much still the case. In Western society, though, we whisk the body away, the biological inevitabilities of dying dealt with behind closed doors that hide everything considered gruesome from sight. We’re reluctant to confront reality and there’s a whole industry helping us to stay blissfully ignorant. Why is that a problem? There’s something comforting about ignoring the issue and knowing that you can slip away relatively conveniently when the time comes. Yet there are many reasons why we should really be talking about dying and one organization has set about helping us do it: The Order of the Good Death. Comprised of funeral industry professionals, artists and academics, the group aims to shatter the taboos surrounding mortality and make death a part of life. It’s impossible to change these deeply embedded attitudes overnight, but opening up a dialogue is a vital first step. The Order’s philosophy has inspired a huge variety of work ranging from jewelry to shadow puppet theatre. Most recently, it led to a creation by Laundry Bear Games. 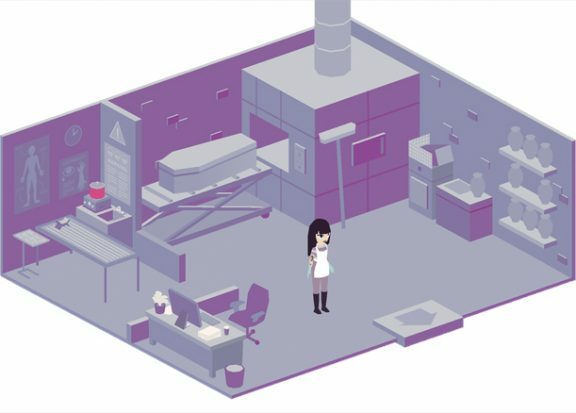 Due for release in early 2017, A Mortician’s Tale is a videogame driven by this burgeoning death positivity movement, riding its waves of change and creating some of its own. 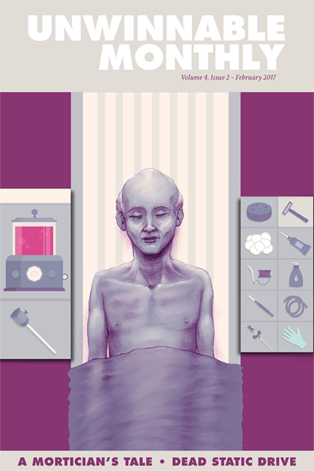 Players face the challenges of running a funeral home, from preparing cadavers to consoling relatives and learning how people grieve. It aims to destigmatize death and the industry that surrounds it, shedding light on a very normal practice that just happens to take place outside of the public eye. It seems strange that this is such an innovative idea, considering that videogames as a medium have always relied so heavily upon death. While pop culture’s take on mortality is complicated in general, videogames in particular often use the idea of death in a contradictory way. In games, death is both a plot device and gameplay mechanic, making it simultaneously a traumatic experience and a boring, routine inconvenience. Unable to prevent something that occurs as part of the narrative, the injustice of one character’s death might move you to tears. Then, eyes still moist, you stare unblinkingly at the screen as the character you do control gets shot in the face, safe in the knowledge that they’ll be resurrected seconds later. Even the most child-friendly games use it as a device without fear of psychological repercussions – most of us spent our youth watching green shells clobber Mario to death and it was nothing more than a small punishment for ineptitude. Of course, some games do a good job at making death meaningful – especially the more narrative-driven titles. That Dragon, Cancer explores the life of a terminally ill child and his parents, allowing players to interactively experience another family’s real heartbreak. Plenty of mainstream games also have hard-hitting and thought-provoking character deaths too, but ultimately they’re often used as little more than a plot device. Gabby DaRienzo makes up 50% of Laundry Bear games, and is the artist and game designer for A Mortician’s Tale. She has considered the use of death as a device a lot while playing games and it is something she wanted to address in her own work. 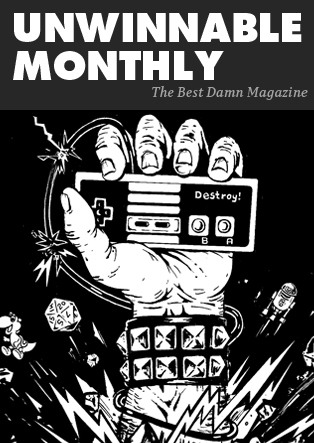 You’ve been reading an excerpt from Unwinnable Monthly Issue 88.